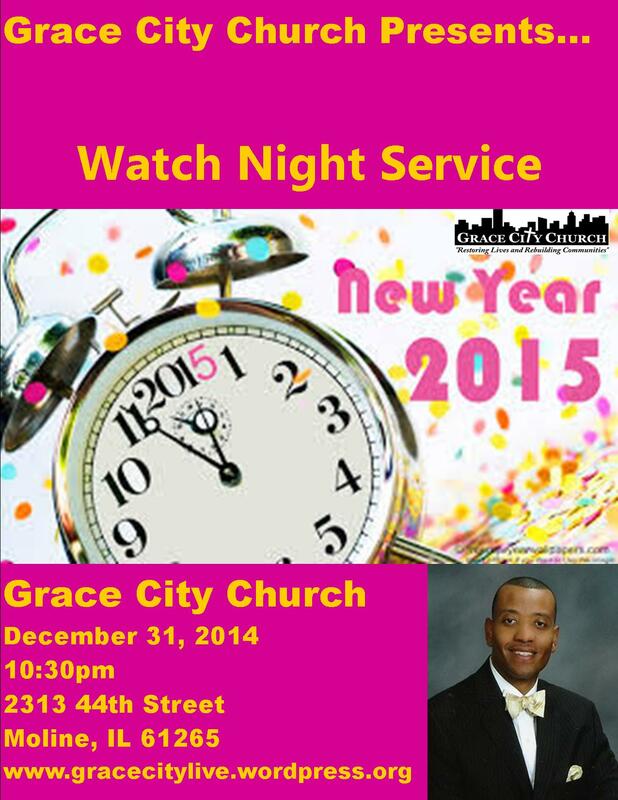 Watch Night Service on New Years Eve! Please join us on New Years Eve at 10:30 p.m. We will celebrate the new year with poetry from Sis. Susan Adams, RusHour Dancers, testimonials, and inspiration from Pastor Dwight L. Ford. Let’s bring in 2015 giving thanks to God for a new year! This entry was posted in Grace City Church, Quad Cities and tagged Grace City Church, New Year's Eve, Pastor Dwight Ford, RusHour, Susan Adams. Bookmark the permalink.